Canon have unveiled two new super-zoom cameras, the PowerShot SX1 IS and PowerShot SX10 IS. Jointly replacing the PowerShot S5 IS, both the SX1 and SX10 feature a 20x wide-angle zoom lens, with USM and VCM for fast, silent, zooming, and an optical Image Stabilizer. 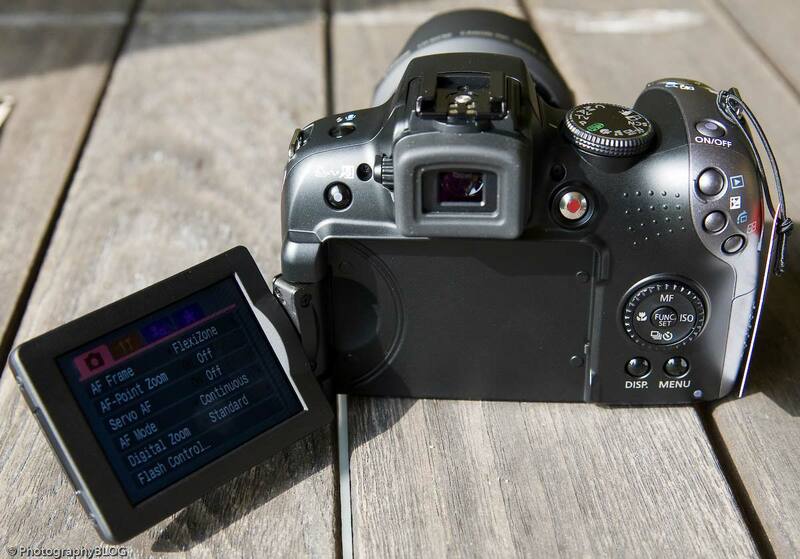 The Canon SX1 IS excitingly features a CMOS sensor which allows it to shoot full-resolution JPEGs at speeds of up to 4fps and full HD movie capture. 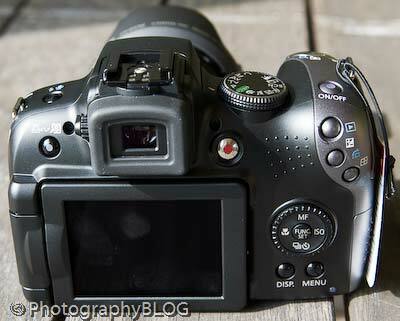 Both models also have Canon’s new DIGIC 4 processor and full manual control over both aperture and shutter speed. The Canon PowerShot SX1 IS will be available from December priced at £519.99 / €679.99, and the Canon PowerShot SX10 IS is priced at £359.99 / €469.99. In the US the Canon SX1 IS will be available in April for $599.99. 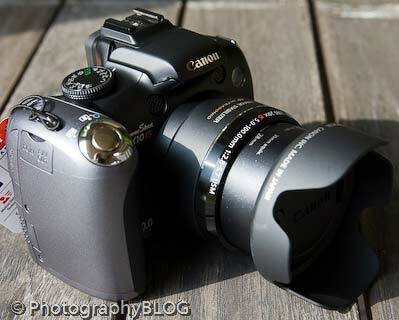 Update: We now have some exclusive shots of the Canon PowerShot SX10 IS from the UK press launch. 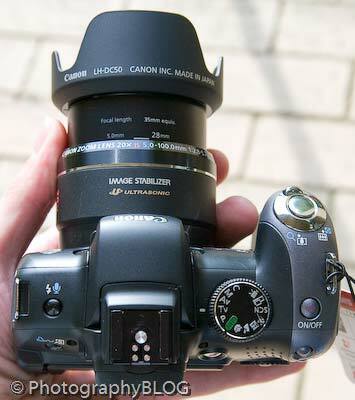 United Kingdom / Republic of Ireland, 17 September 2008: Canon today supercharges its PowerShot digital compact camera range with two powerful new models: the 10 Megapixel PowerShot SX1 IS and PowerShot SX10 IS, which jointly replace the PowerShot S5 IS. 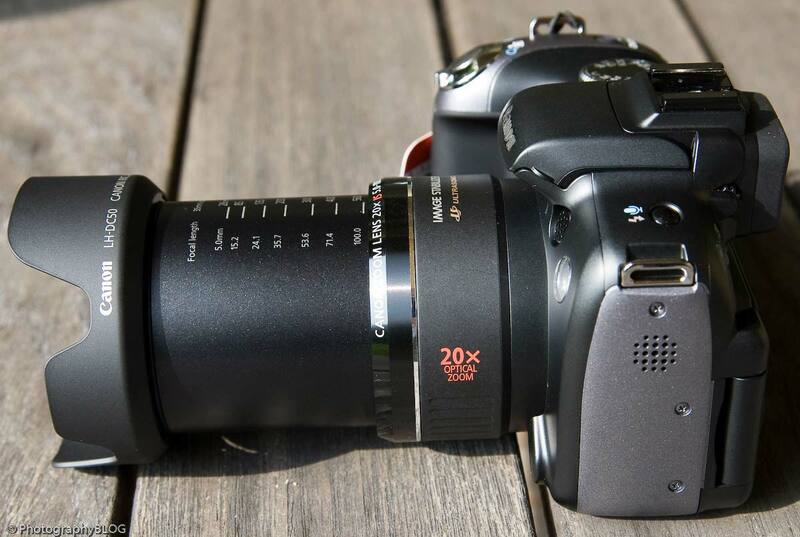 Both raise the benchmark for compact zooms with an outstanding 20x wide-angle (28mm) optical zoom, with USM and VCM for fast, silent, zooming. 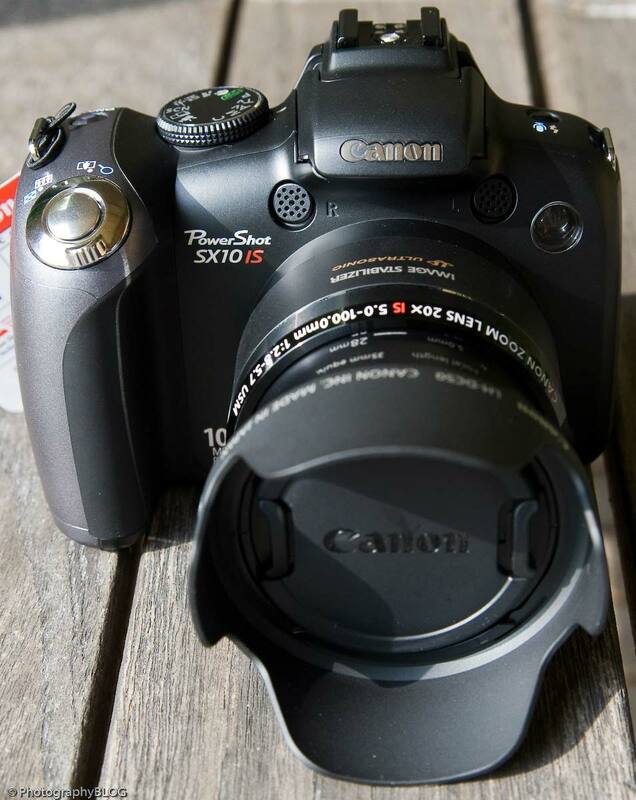 The PowerShot SX1 IS offers a revolutionary series of features never seen before on a Canon compact camera – a 10 Megapixel Canon CMOS sensor, 4 frames per second continuous shooting, and full HD movie capture – while both cameras use Canon’s new DIGIC 4 processor for fast performance and richly detailed, clean images in a wide range of shooting situations. With a Canon 20x wide-angle (28mm) optical zoom lens, the PowerShot SX1 IS and PowerShot SX10 IS tackle everything from long-range telephoto shots to sweeping landscapes. Canon’s Ultrasonic Motor (USM) combines with Voice Coil Motor (VCM) technology for near-silent operation and the speed for sports or wildlife subjects. And thanks to Canon’s optical Image Stabilizer – which now offers a 4-stop advantage – camera shake blur is avoided even with the zoom fully extended. The PowerShot SX1 IS and PowerShot SX10 IS feature resolutions of 10 Megapixels, capturing all the necessary detail for poster-size prints or creative cropping in post processing. 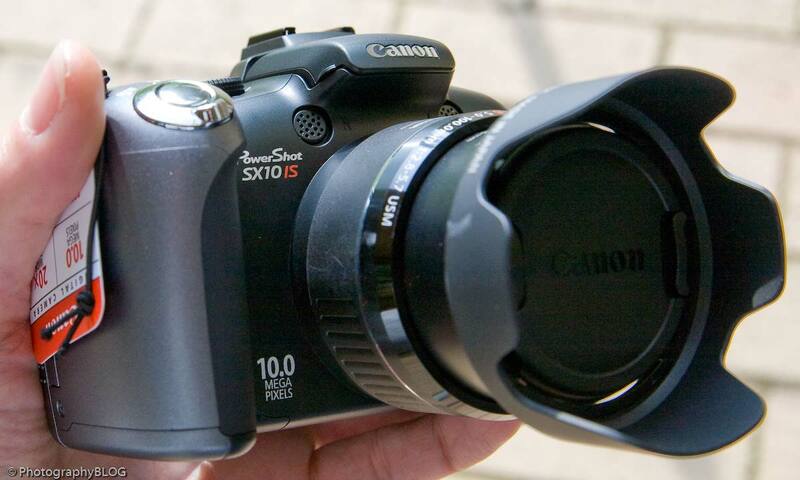 A Canon CMOS sensor allows the PowerShot SX1 IS to shoot full-resolution JPEGs at speeds of up to 4fps – making it a powerful, pocket-sized tool ideal for capturing fast-paced action sequences. For the ultimate in visual quality, the PowerShot SX1 IS delivers 1080p (30fps) High Definition video – ready for instant playback on any HDTV via a built-in HDMI connection (Requires optional HDMI cable). 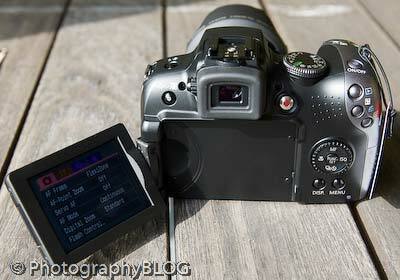 The PowerShot SX10 IS offers fun, spontaneous VGA movie shooting. 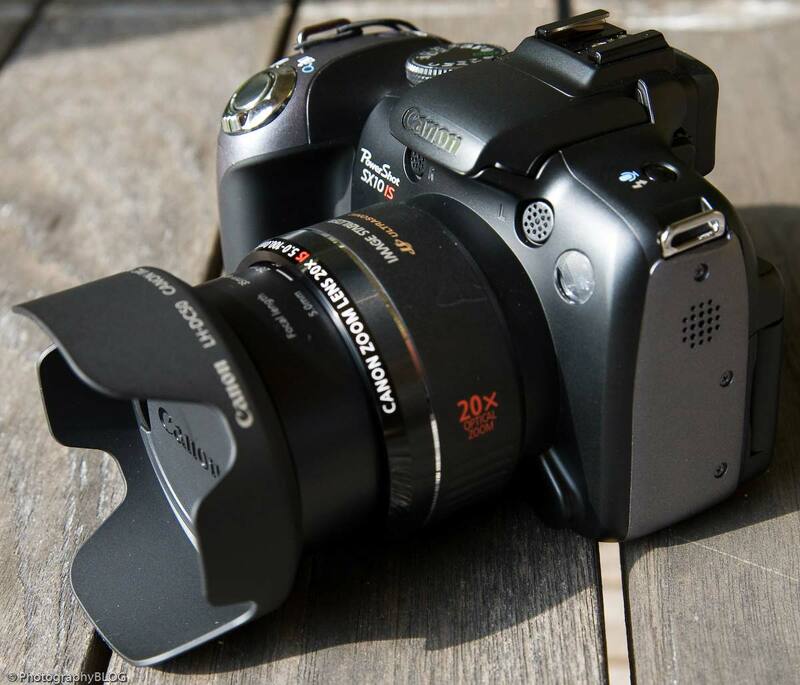 Movies on both cameras are enhanced with CD quality stereo sound, optical zooming and Face Detection Technology; and if extra reach is required, the PowerShot SX1 IS includes Canon’s Advanced Tele-Converter for an extra 2x zoom with no loss in movie quality. low-noise images, DIGIC 4 drives several intelligent technologies that make great photos easier than ever. People shots benefit from improved Face Detection Technology, which even detects faces positioned at an angle to the camera, or in profile. Face Select & Track tracks a specific subject even more accurately, while a new FaceSelf-timer function – which automatically triggers the shutter shortly after a new face enters the frame – makes group shots and self-portraits easy. 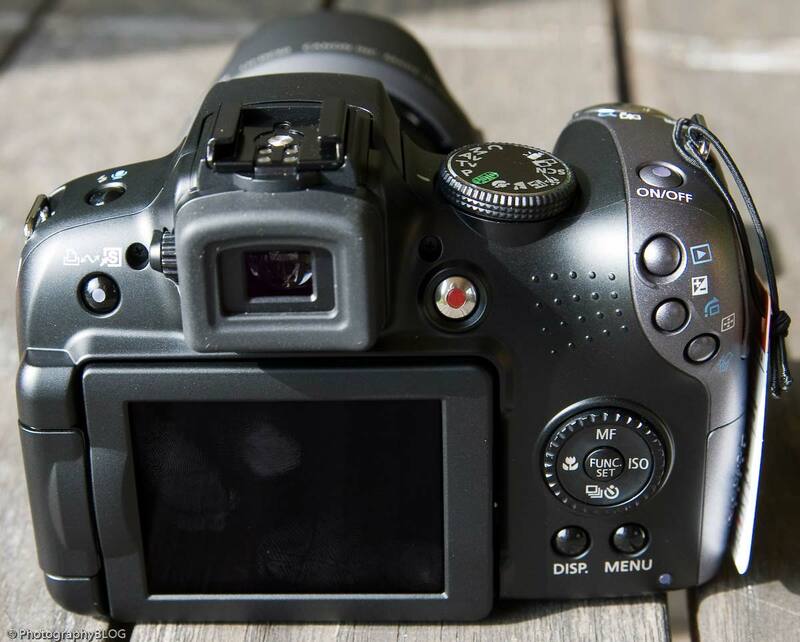 Canon’s improved Motion Detection Technology delivers fantastic, sharp results by registering camera and subject movement, then automatically adjusting ISO to prevent image blur. 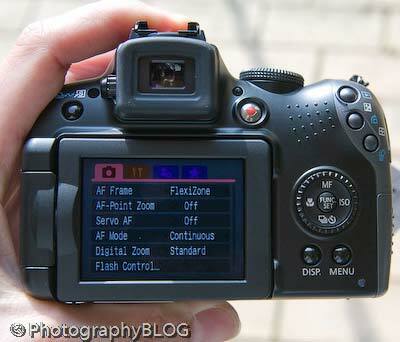 Blur is further guarded against by new Servo AF, which continuously adjusts focus on subjects moving towards or away from the camera. DIGIC 4 also powers Canon’s new i-Contrast feature, which brings out great, natural-looking detail in dark areas of pictures – without blowing out lighter areas. For the ultimate creative precision, the PowerShot SX1 IS and PowerShot SX10 IS offer full manual control over both aperture and shutter speed. A Multi Control Dial offers fingertip access to all key settings. Plus, compatibility with a range of accessories – including Canon’s professional Speedlite EX flash units – extends creative potential even further. 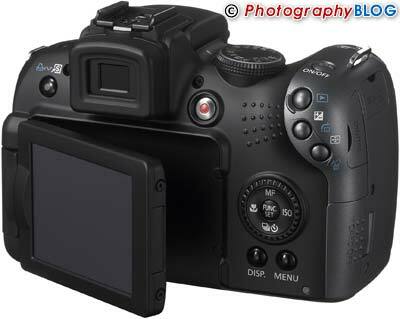 Also included with the PowerShot SX1 IS is Canon’s WC-DC300 controller, which allows wireless control of shooting and playback. This is ideal for tripod shots at slow shutter speeds, or any situation where keeping a distance from the camera is preferable. 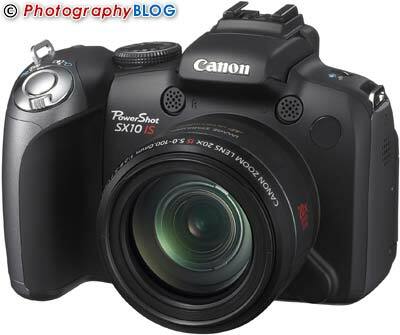 The PowerShot SX1 IS is available from December priced at £519.99 / €679.99 RRP inc VAT. The PowerShot SX10 IS is available from October priced at £359.99 / €469.99 RRP inc VAT.